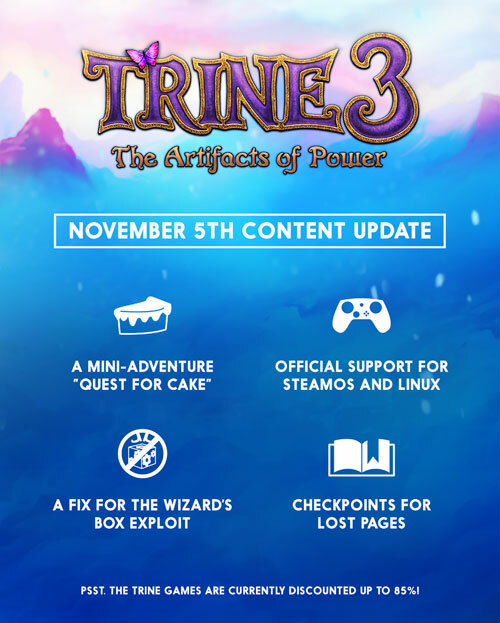 We’ve just released a new content update for Trine 3: The Artifacts of Power! It includes a free new level as well as official support for SteamOS and Linux. The new level is a mini adventure featuring the three heroes and their (or mainly Pontius’s) desire for some food – a cake, no less!